folks. It's a honor to be chosen as a groomsmen. Every one of them long to mark this special day with something special. This custom groomsmen bobblehead is a one and only item to keep the precious memory. 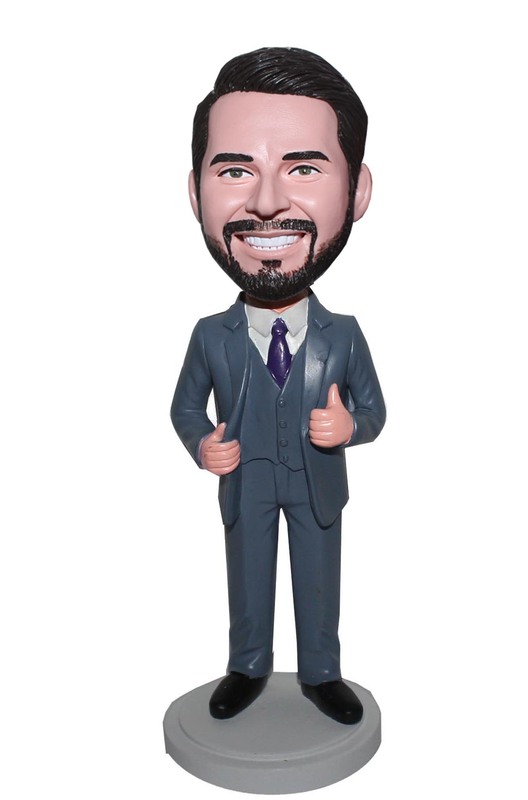 This customized bobblehead depicts a male in grey suit and a purple tie with his thumbs up, which is a unique and funny idea to commemorate your big day!! How fun when you place them in line, it will definitely hit the ceremony with big laughs.